These paintings are the products of allowing the haphazard, instinctive and subconscious to creep in and govern. By gathering the elements, combining them and letting the combinations suggest additions or new versions, multiple motifs emerge. The aim for this body of work has been to let the processes and decisions involved go somewhat unexamined. 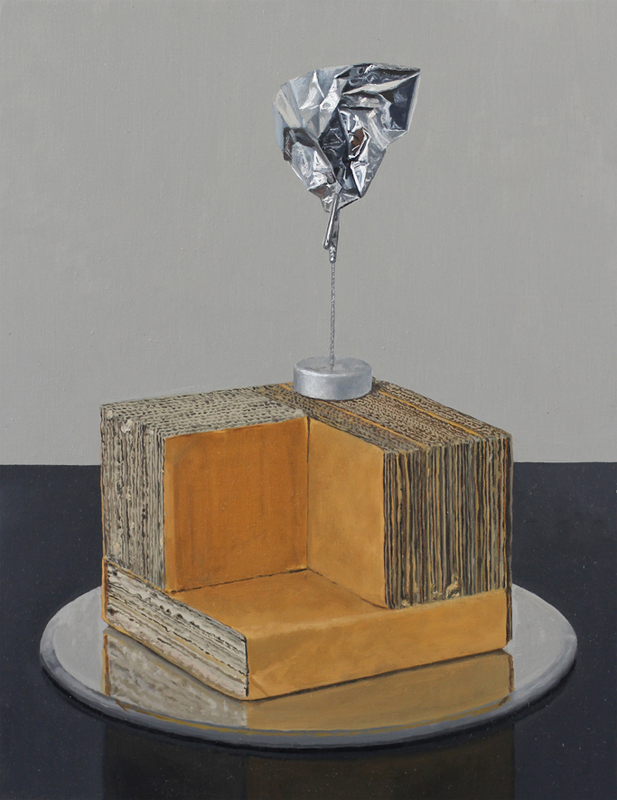 The formulation of the works share some surrealist strategies to enable these arrangements, despite their prosaic materials, to become defamiliarised. Julian Aubrey Smith graduated from a Bachelor of Fine Arts (Honours) from RMIT in 2003 and completed a Master of Fine Arts (Visual Art) at the VCA, the University of Melbourne in 2016. He is the recipient of a New Work grant from the Australia Council for the Arts, an Australian Postgraduate Award from the University of Melbourne and the 2014 Nino Sanciolo Prize. He has been shortlisted for numerous prizes including the 2014 Substation Contemporary Art Prize and the 2015 Linden Art Award. Recent solo exhibitions include N + n, TCB Art Inc., Melbourne, (2014); Mere Real Things, C3 Contemporary Art Space, Melbourne, (2013); Contents, West Space, Melbourne, (2012). He lives and works in Melbourne.